This week's post is brought to you courtesy of Mindy C. Waitsman of Moore & Reese, LLC. We often hear from our Board members that when they volunteered to serve on their HOA/COA board - they actually had no idea what they were signing up for. This is a great article explaining some of the duties/responsibilities required of the various Board positions. Serving on the board of directors for your community is one of the best ways to ensure that your voice is heard when it comes to decisions to be made for the community. In almost all cases, the board of directors is responsible for selecting the officers to operate the Association. Many newly appointed officers want to do what they can for their community but are unsure exactly what their new position means. Though many have heard the terms President, Vice President, Secretary and Treasurer, they volunteer to serve based on the limited knowledge that they have, but they are not sure of their responsibilities in one of these positions. This article will outline some of the common responsibilities for officers together with some standards of conduct. Since community associations are incorporated as Nonprofit Corporations, the Georgia Nonprofit Corporation Code (the “Act”) controls the actions of the corporation. The Act lists certain standards of conduct for officers and directors. The responsibility for each officer, however, is not clearly outlined in the Act. Instead, you need to look at the Bylaws for your Association (“Association”). The information that follows outlines some of the more common responsibilities of officers. To be sure, however, you must review the Bylaws, corporate records and other governing documents for your Association. 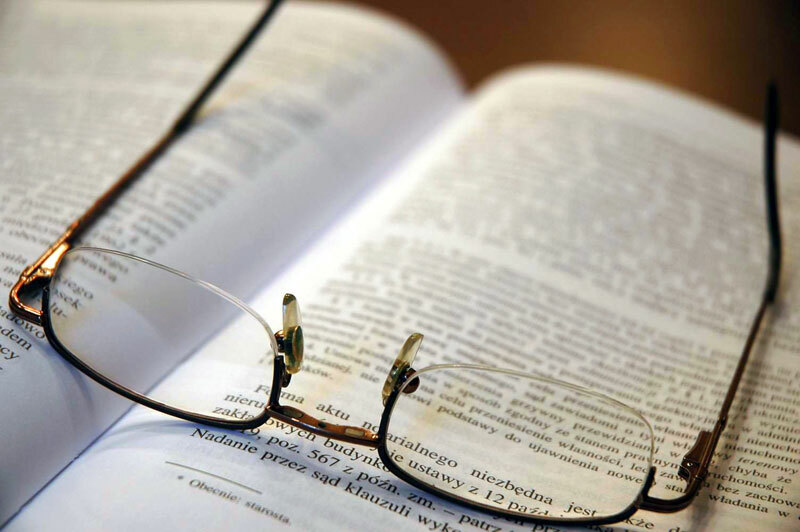 The Act requires that all corporations in Georgia maintain certain books and records. 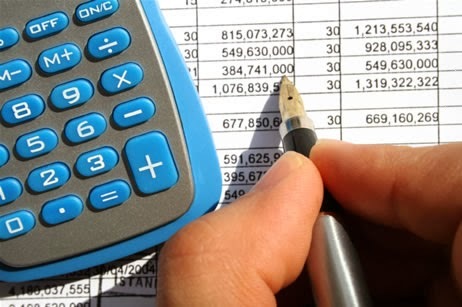 Though the financial records are usually maintained by the Treasurer, the Secretary is responsible for the creation of all minutes for both board and membership meetings. The Secretary should also keep records of recommendations and, if permitted by the Bylaws and other Association governing documents, decisions by committees created by the board. 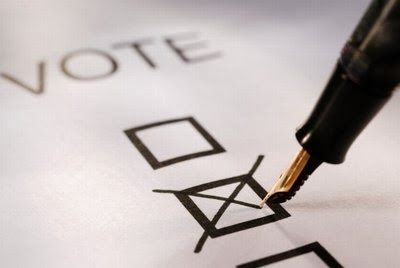 If the Bylaws provide for elections by actions without a meeting, it is generally the Secretary who must ensure that the notices of meetings, the ballots and other related materials are properly distributed. 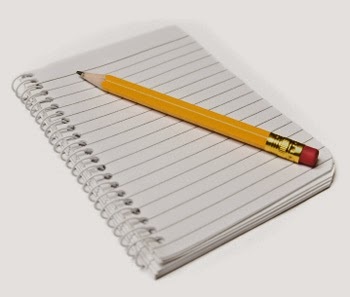 Though it is common for Associations that have professional management to delegate several of the responsibilities of the Secretary to the management company, the Secretary still needs to review the actions of the professional manager to ensure that proper records are maintained and notices are sent out on a timely basis. 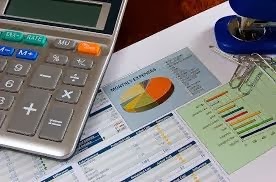 The Treasurer is generally given the task of paying bills that have been approved by the Board, creating the budget, keeping up with the collection of assessments and other related matters of a financial nature. Because the creation of the budget is so important to the well-being of a community, the budget, though coordinated and overseen by the Treasurer, is the responsibility of the entire board. Additionally, like the Secretary, there are several tasks of the Treasurer that are often delegated to a professional community association manager. Also like the Secretary’s position, the Treasurer still needs to ensure that proper records are kept and any recommendations for the budget by the manager are reasonable. Many people confuse the responsibilities and obligations of the directors with the responsibilities and obligations of officers. This is further complicated by the fact that, generally, only individuals who have been elected as a director are qualified to be chosen to serve as an officer. There are, however, differences between the two positions. Directors are elected by the members of the Association. 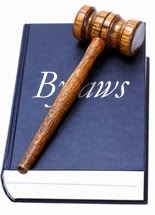 The Bylaws for most associations provide the number of directors that must be at a meeting to meet quorum requirements and the number of directors that must vote to approve a decision for the Association. Individuals that serve on the board vote in their capacity as a director, not as an officer. Though Robert’s Rules of Order limit the times that a president may vote, this limitation does not generally apply to corporations in Georgia. The individual who is president is actually voting in his or her capacity as an elected director. Members of the Association are often confused about their authority of the board to direct vendors that work for the Association. (i.e. Why did the board get to choose the pool furniture? I don’t like what they selected and I should have had a voice.) Because the Association is not a person, but an entity, Georgia law had to create a way for the entity to make decisions and take action. The Act and the Association’s governing documents in most instances clearly provide that the board of directors, not the membership, must direct the actions of the Association. A majority of a quorum of the directors is generally the number of individuals that must approve any action to be taken by the Association. 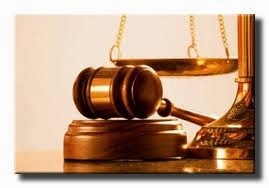 Except in some limited circumstances that might be outlined in the Bylaws, (i.e. delinquency of a director), a majority of the members of the Association, not just the directors, must vote to remove a director. The officers are appointed by the board of directors, not the membership of the Association. These appointments are generally made at an Organizational Meeting of the board, often immediately after the election of the board members. Under some governing documents of associations, officers are required to also be directors but this is not always the case. Because the board of directors appoints the officers, the board of directors can vote to remove an officer but that individual, if they were also a board member, remains on the board of directors. For example, if there is an issue necessitating the removal of the Treasurer, the majority of a quorum of the board of directors can vote to replace the Treasurer. A review of your Association’s Bylaws will provide additional guidance for officers and directors of the Association. If you have any questions about your position, please feel free to contact your attorney for more information. Boards of Directors and Community Association Managers (CAMs) should be mindful of the boundaries that their legal counsel faces. Too often, a request or inquiry creates a conflict, because the attorney’s first duty is to the corporation, not individual Directors or managers. For example, a Director provides non-Board related services to neighbors in the community. This could be anything from CPA work, to drafting architectural plans, to handyman construction. During an executive session, the Board of Directors is notified of a health-safety issue that impacts the clients of this particular Director. He asks the Association’s attorney what he can and should disclose to his clients. This is a conflict of fiduciary duties, and the Board should form an executive committee to handle the life-safety issue without the conflicted Director’s involvement. To compound the situation, the Association’s attorney can’t advise the Director on handling the client-homeowner information conflict. This Director would need to retain his own attorney for such advice, but that attorney is barred from using the Association’s information regarding the safety hazard. If the conflicted Director attempts to pass on this information to his attorney, the attorney is obligated to destroy it and notify the Association’s attorney of the attempt. Quitting the Board does not release the former Director from his duty of confidentiality. If and when to release this sensitive information is an Association-only privilege: No single Board member may unilaterally decide to disclose. The Board as a group will need to consult with the attorney before voting to release any information. Any Director who releases information without group approval exposes himself to liability and loses the protection of the Association’s Directors & Officers insurance coverage. Board members and managers should also be aware that any private statements that they make to the Association’s attorney are subject to disclosure in certain situations, at the discretion of the attorney, even if it could expose the Director or manager to personal liability. The protection of the Association as a corporation comes first. If a lawyer learns that an officer or agent of the community is engaged in or intends to act in a way that violates a legal obligation, leading to substantial harm for the Association, the lawyer is required to take whatever actions are necessary to protect the Association. A Board member violating his duty to the association by stirring up dissension in the community, or instructing vendors to conduct work without formal Board approval – either of these could trigger the attorney to act. Related to this are required lines of communication. 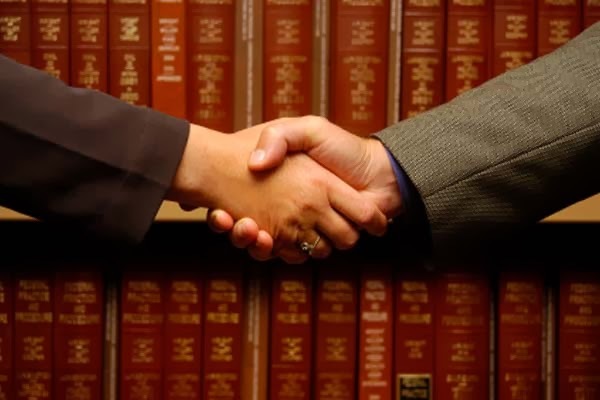 For situations where the Association is being represented by an attorney, all correspondence must be solely to the Association’s legal counsel. A vendor in a contract dispute, a homeowner in collections, or raging Board member must have the attorney’s consent before reaching out to any Board members directly. As you can see, the proper handling of Association information is not easy. After annual elections are held, the Board as a group should invite its corporate counsel to visit and provide in-depth discussion on this topic. 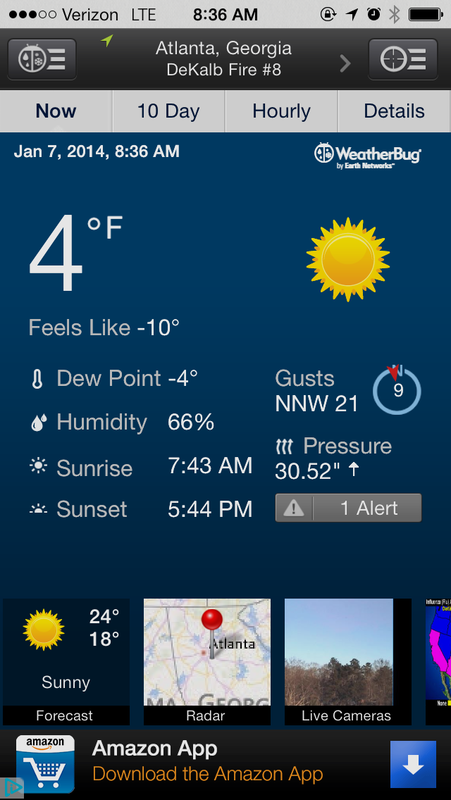 Plants vary tremendously in their tolerance to cold temperatures. The U.S.D.A. publishes a Hardiness Zone Map that is based on decades of data and indicates Atlanta is in Zone 8A. This is used as a guide when choosing plants. Crabapple recommends the selection of plants that are reliably cold hardy in our area, and then excellent maintenance during the growing season, as the two best ways to guard against cold damage. Factors that affect plant selection include minimum and maximum daily temperatures, difference between day and night temperatures, and average daytime and nighttime temperatures. Location/site/microclimate in the landscape also plays a role. 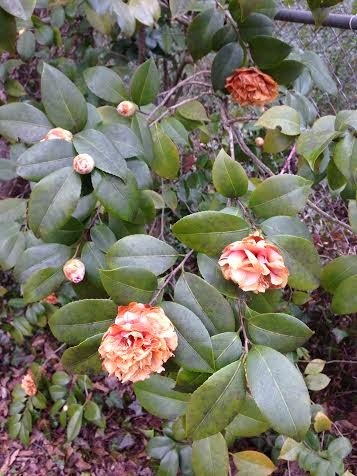 Atlanta is filled with needle leaf evergreens (pine) and broad leaf evergreens such as camellias, tea olives, holly, anise and boxwood that keep the winter landscape green. 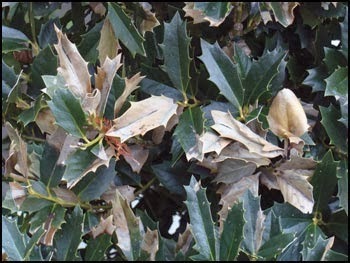 Unfortunately, the broad leaf evergreens are more prone to winter burn or leaf desiccation injury than dormant, deciduous trees and shrubs. Winter burn occurs when the absorption of water by the roots cannot keep up with the amount of moisture lost by the foliage (transpiration). When the soil is frozen the roots cannot absorb water or translocate it up to the leaves to replace what is lost, and this results in leaf desiccation. This occurs on sunny and windy days, on days that are exceedingly cold (or hot), as well as when the soil is frozen and the plant cannot absorb water, or in a drought situation. Injury appears as brown leaf margins or needle tips. Usually the leaves are injured but dormant buds survive. A 3-inch layer of organic mulch (pine straw, woodchips, or leaves) helps to insulate the ground and moderate the soil moisture level. The microclimate of a garden plays a big role in actual garden temperature. Changes in elevation, cold air drainage, sun exposure, and thermal heat mass (surrounding buildings, pavement or rocks) will make some gardens significantly warmer or cooler than the temperatures recorded for the area. Air drainage cold air sinks to the lowest spot. Knowledgeable advance siting is important at the planting stage for broadleaf evergreens, and includes such considerations as protection from winter wind and/or the direct rays of early morning sun. Crabapple accomplishes this by planting in the airy shade of tall pines, or on the west side of a building, wall or hedge. Landscape plants should be well-watered prior to the cold blast. Luckily, there is plenty of moisture in metro-Atlanta soil due to our recent hard rains. 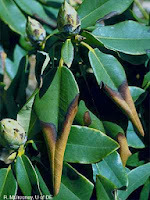 Anti-desiccants (brand names include Wilt Proof or Moisturin) can be sprayed on broadleaf evergreens to reduce the amount of water lost through leaves. However, leaves lose water through the same pores that take in carbon dioxide for photosynthesis, so the overuse ofantidesiccants can be toxic to plants. When temperatures get too low, plants are susceptible to freezing injury. Flower buds are frequently affected, for example peach, dogwood, magnolia, forsythia or hydrangea flowers may not bloom well after an extremely cold winter. Container plants are more vulnerable to polar cold snaps than in-ground landscape plants and will benefit from some protection. Containerized nursery stock have small, above ground root balls that freeze easily, and newly planted bare uoot or balled-and-burlapped plants with their reduced root systems, are also very susceptible. As for woody ornamentals planted in decorative accent containers, wooden, foam or plastic planters usually come through freezes just fine, but clay pottery can break if subjected to freezing temperatures. Move them to an unheated garage for a day or two to get over the worst of the weather. U of OH, "split happens"
Sometimes it isn't really the cold temperatures that cause problems, but rapid fluctuations between warmth and cold as temperatures climb and plunge. Bark on some trees may split on the southwest side due to rapid temperature changes. 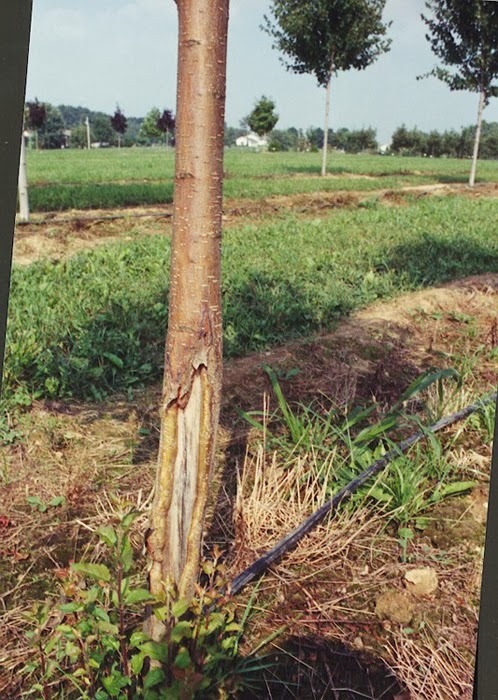 Thin-barked trees such as cherries and maples are most likely to crack. Shade protection or wrapping with tree wrap may give protection against frost cracks. If thin-bark trees have split, call Crabapple LandscapExperts to shape and clean the wounds so they can heal over properly. Frost injury typically occurs in low-lying frost pockets, especially at the beginning or end of the cold season, when summer annuals and vegetables can get that “wilted lettuce look” or camellia petals or early-blooming magnolia flowers are turned brown in a late cold snap. Delicate petals and new leaves are the most susceptible to frost damage. One way to avoid frost damage is to select late-flowering cultivars that bloom in the spring instead of the early ones. Soil heaving results from alternate freezing and thawing of the soil and is rarely a problem in metro-Atlanta. 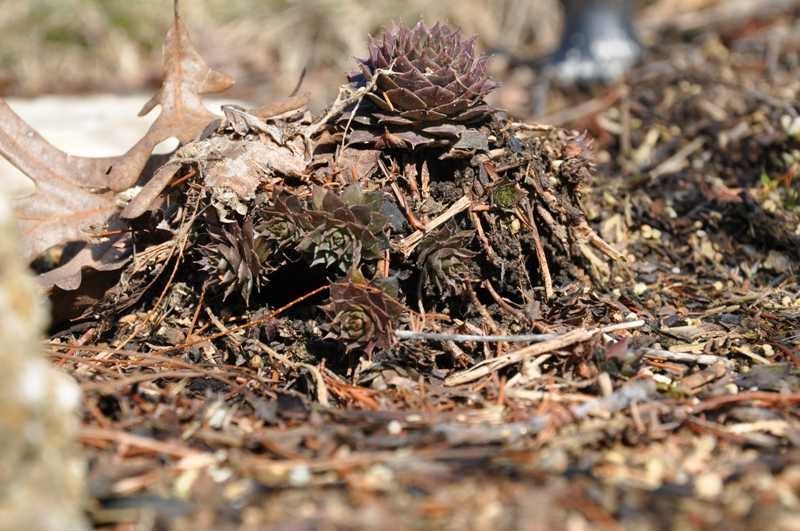 Shallow perennial plant roots are pushed out of the soil leaving them exposed to cold and drying winds. Good root establishment helps to protect from heaving, but some plants (mums, strawberries) have characteristically shallow roots and are prone to heaving. Replant perennials that have been tossed out of the ground and water-in. Reduce heaving with an application of organic mulch, such as 3 inches of pine straw, wood chips or shredded leaves. Snow cover (also rare in metro-Atlanta) also acts as an insulation for perennials and often prevents heaving. A 2013 study on the success rate of newly established businesses revealed the causes of business failure, along with leading mistakes made by business owners. Many of these same problems plague the running of homeowner associations. ‘Forewarned is forearmed’, so read on for insights! Nearly half of all failures were due to incompetence in basic financial knowledge, poor record-keeping, or not planning ahead. A third of failures were due to lack of managerial experience often leading to overextended financial obligations. With slight changes, much of the above could apply to Board volunteerism. Why did you choose to run for the Board? This is a question virtually every Board member has been asked or asked him or herself. Answers can range from “I want to give back to my community” all the way to “I must have lost my mind.” Anyone that has served on a Board, committee or as a Manager is most likely aware that it is not always those who step forward - but those who do not step back when it - comes to being elected to the Board. Whatever your reason for deciding to serve, please remember that a Board position is very a critical part of Association governance. Without quality individuals on the Board, an Association can become irrelevant and ineffective. Just as every successful business has informed and dedicated individuals at the helm, an Association needs Board members who put forth the effort to educate themselves in the basic fundamentals of running an organization. By no means does it require an MBA or advanced degree to run the Association. It does mean however, that one cannot expect to just show up to a monthly or quarterly meeting, vote on a few matters and go home to wait for the next meeting. The Board can ensure monies are spent wisely, quality vendors are hired and homeowners are encouraged to follow the Association rules. But realize you cannot solve every issue affecting community members. An easy trap in which you can fall is to feel that every homeowner complaint needs an Association response. The Governing documents control and if the area of concern is not addressed in those documents it is most likely not something the Board and/or Association should formally address. If barking dogs are not referenced in the documents, homeowners should be encouraged to call Animal Control. If on street parking is not mentioned in the Declaration, then inform a concerned homeowner to call the Police. By familiarizing yourself with your Association’s governing documents and knowing what you can and cannot do, you will lower stress and improve effectiveness. Your contributions will not always be acknowledged but are appreciated, for it is the few who help the many to flourish.